Moving on, I recently read on Yahoo! that there's a fury of enraged readers. Why, you ask? Well, Finnick- oh, lovely, lovely Finnick is being played by actor Sam Claflin. 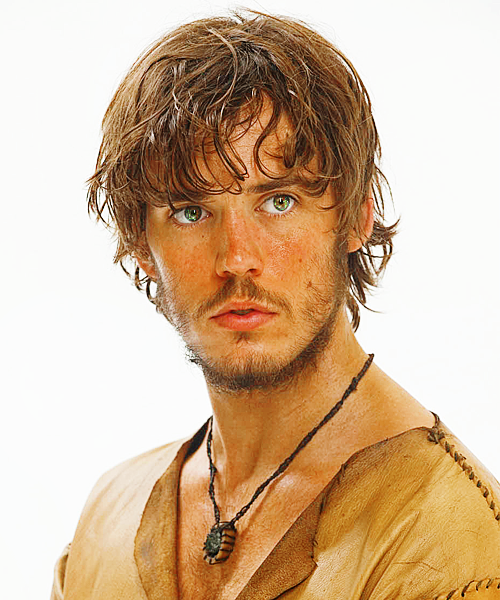 I first saw Claflin when he played Kristin Stewart's love interest in Snow White and the Huntsman. He didn't really catch my eye (since the only actors I saw were Chris Hemsworth and Charlize Thereon- DOUBLE YUM!). Do I think Claflin's hot enough to play Finnick Odair? Honestly, no, I don't. I was imagining Finnick to be bigger and broader (think Channing Tatum)- not lean and skinny (think Tobey Maguire). In the casting director's defense, I think slimmer, more feminine looking men is all the rage in Hollywood. Yet again, I digress. Who do you think better exemplifies Finnick?